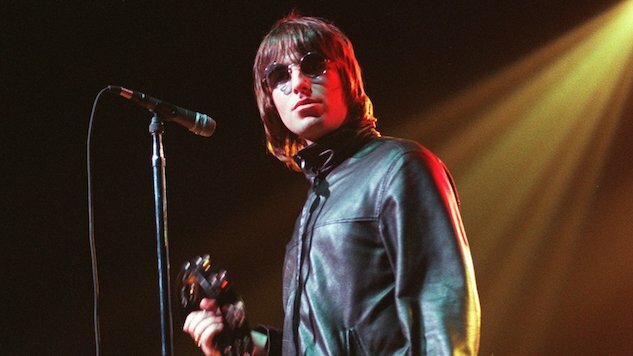 According to THR, Liam Gallagher will be the subject of a brand new documentary called Liam Gallagher: As It Was, which is a riff on his debut solo album title, As You Were. The tell-all documentary, set to screen at the Cannes Film Festival, will follow Gallagher through his wild Oasis years and infamous, regular scraps with his brother Noel, as well as his new solo career. The new documentary follows the release of the band’s 2016 documentary Oasis: Supersonic, which documented the Britpop band up until their monumental 1996 concert at Knebworth Park. Liam Gallagher: As it Was is currently in production and will be directed by Charlie Lightening, who has previously made films for Robbie Williams, Bjork and Kasabian, among others. Lightening also produced the live concert film 12/12/12, featuring Paul McCartney, The Rolling Stones, The Who and Bruce Springsteen, which raised funds for victims of Hurricane Sandy in 2012. Having known Liam both personally and creatively over the past 10 years, to see him back where he should be and to see the reaction to him once again has been amazing. For Liam to let me in, to be there to capture it all up close and personal and to tell the whole story in his own words makes for an amazing film. One of the greatest rock ‘n’ roll comebacks of all time, and you are there with him each step of the way. This new documentary will be distributed internationally via Altitude Film Distribution and co-distributed in the U.K. by Lorton Entertainment, who also distributed Oasis: Supersonic. Revisit our October 2017 interview with Liam Gallagher here.